I’m a juice-aholic. By now, this is a well-known fact among my friends, and I receive requests for juice cleanse recommendations on the regular – I’d say about once per month. Thoughts: This is my favorite juice cleanse. I had a customer service snafu once, but they reached out and compensated with a free 1-day cleanse. The juices are so tasty, and they have puree in them, so you’re still getting some fiber and protein, and you don’t feel as hungry (or in some cases hungry at all) while cleansing. 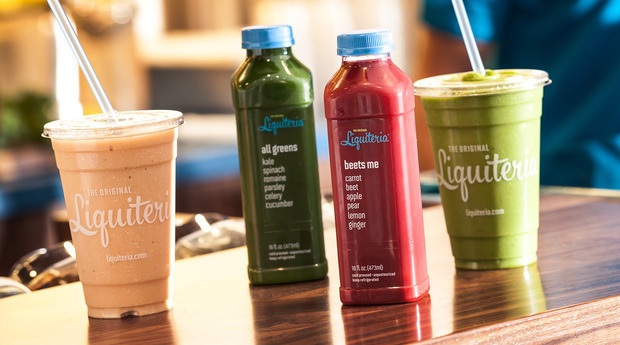 Thoughts: I haven’t tried beQu yet either, but here are some additional details from GroupOn: Recipients receive a supply of six bottles for each day of their cleanse, which includes three lemonade and three sweet greens juices that can be alternated throughout the day. Shipping is not included in this deal; beQu Juice will confirm delivery dates by email. Based on this, I would look up cost of shipping before buying! Awkward and Awkward Thursday: Where’s the Juice? This week has been an especially frustrating one, and all of my frustrations revolve around juice. Think I’m crazy? Don’t worry, I do too. Let’s start with awkward part one, from the beginning. I arrived at work Wednesday completely pumped to start a Jus by Julie three-day cleanse. I LOVE juicing, and my friend had said this was her favorite one. When I realized at 8 a.m. that Jus by Julie had sent me an order confirmation but no tracking information (which they had referenced would follow), I immediately sent an email and also gave their receptionist a call. I won’t bore you with the play-by-play, but essential I reached out by phone, email, Twitter, carrier pigeon, you name it, and judging by their latest tweet, the company was indeed on vacation. I tried to reach Jus by Julie all day. After 4 p.m. I finally sent an outraged email outlining all of the reasons it was inconsiderate and poor service for the company not to get back to me. The email in itself was awkward. I do not get angry. It’s not something I do. But here I am, very angry, and feeling completely outside of my skin because of it. There is not reward in being a calm and collected, friendly customer, which is so disappointing. Hours of this approach got me absolutely nowhere, but when I got angry I got answers. The FedEx issue was, as I suspected, a widespread problem yesterday. In this case, a blast email or even a tweet to explain the issue and tell customers to be patient might have been a good, considerate idea. I mean, one thing I loved about the idea of this cleanse is that it is delivered early enough to start on the same day. I literally ate nothing the first half of the day thinking they’d get back to me before lunch on my delivery ETA. After the awful 8 hours of lack of customer service, I thought surely they would apologize in a genuine way and even offer something extra, or an added incentive for a follow-up order. I’m not a freebie-hound, but this was the first time ever that I really felt it was something I deserved. You shouldn’t upset people who are giving up solid food to enjoy your product, it is just unkind, and disappointment coupled with extreme hunger should be compensated. Today I received my juices “on time,” and was happily drinking through my cleanse until awkward part two happened. I got to juice 4 and realized that my juice 5 was missing from the fridge at work. Almond Breeze. I was actually excited to drink it and have been anticipating it all day. I considered blast emailing my coworkers to call a search for the missing juice. Other people are cleansing this week as well, I saw a ton of BluePrint bottles in the fridge, surely my juice was taken in error and could be returned. This sounds silly, but understand that i am consuming six juices for the day – that is all the nourishment that I get, and one is missing! And it’s my favorite one! Juice #5 on days 2 and 3 is a different juice. A petty thing to complain about in a life where I feel all-around blessed, but it felt tragic. It still does. Go ahead, laugh at me. 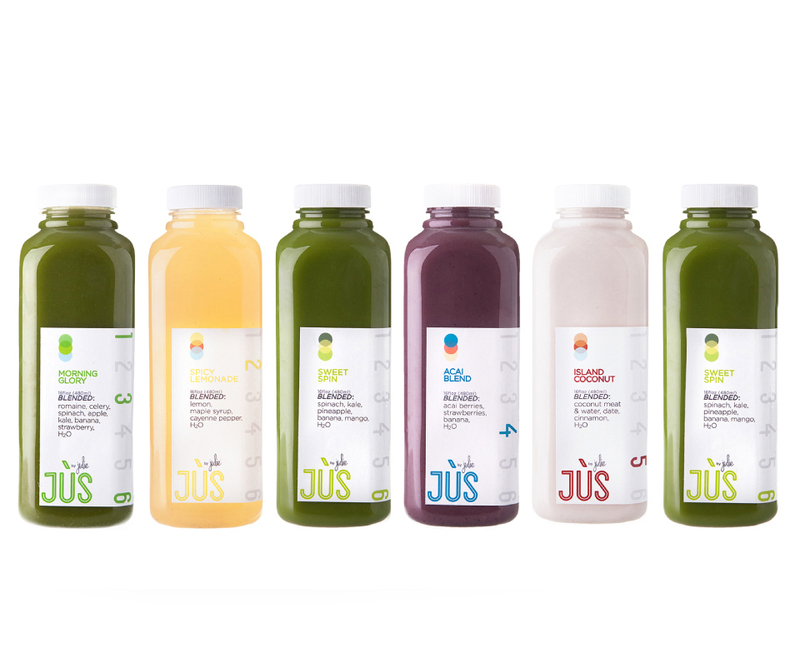 The Jus by Julie juices are awesome, and I’m really enjoying them, but I feel like I will forever associate this cleanse with feelings of stress and frustration. 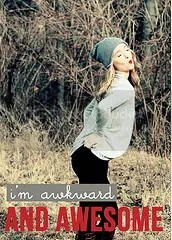 And lots of awkward. 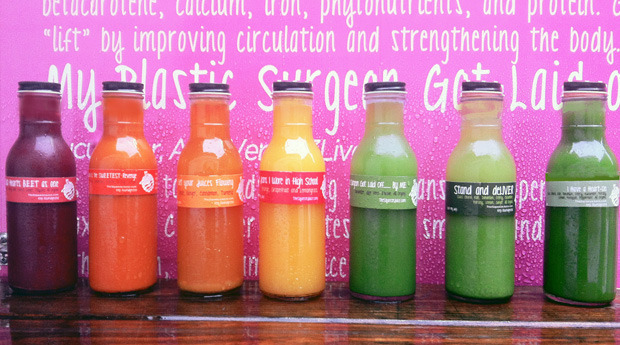 Two weeks ago, I embarked on my first ever juice cleanse. Being the food-lover that I am, this was not an easy decision. I am also a big fan of juice, so after about a year of contemplation and hearing different friends’ experiences, I decided to take the plunge. I chose a three-day BluePrint Cleanse. This cleanse came highly recommended from friends, and there happened to be a promotion for a discount on GILT when I ordered. Juices one, three and five are a green juice that contains romaine, apple, celery spinach, cucumber, kale, parsley and lemon. Juice two is pineapple, apple and mint. Juice number four is spicy lemonade with lemon, agave nectar and cayenne extract. Juice six is cashew milk with agave nectar, cinnamon and vanilla extract. The first day was not easy. I woke up with a headache before even drinking my first juice, and that headache lasted until I went to bed. I’m not sure what caused it, since I hadn’t started the cleanse yet. It may have been caffeine withdrawal, or possibly a result of eating very light the previous day. A lot of people complain about the taste of the green juice, but I personally love it. It is recommended that you wait at least an hour in between juices, and I tried to leave two or three hours in between mine. Juice two was delicious, and I wound up looking forward to it the most on days two and three. Throughout the day I felt fine besides the headache. I wasn’t hungry and I didn’t crave food. When I came home from work the headache quickly turned into a migraine, and I had trouble getting the cashew milk down. Warning: that stuff is CHUNKY if you don’t shake it up a lot. Day two was phenomenal. No hunger. No headache. Tons of energy. I was as happy as a slinky on an escalator. Day three was torture. I was starving all day. By 5 p.m. I had to leave work because I had a migraine. I came home and slept from 6 p.m. until 1:30 a.m. When I woke up I still had the migraine but couldn’t get back to sleep until 4:30 a.m., only to wake up two hours later for work. The rough night meant that day four, (now off the cleanse and back to real food), was also pretty miserable, and I was left wondering why I spent so much time and money torturing myself. Was the juice worth the squeeze? I waited so long to post about my cleanse because I wanted time to reflect on it. After a good night’s sleep on day four, I felt good again. I lost four pounds, and my stomach looked nice and flat. I felt healthy and didn’t have a huge appetite. Healthier food decisions came easy. I posted a few pictures on instagram and Facebook in the process, and received a great amount of interest and support from friends. I would do the cleanse again, but probably the six day option. I felt that the three days I did were only enough time for my body to withdrawal, and not enough time to go through a full cleansing process. If anyone is interested in trying a cleanse, I recommend either taking time off from your normal responsibilities or starting on the weekend so that your body can adjust appropriately, and considering extending the experience beyond three days. Juicing is not a “lose weight fast” fad diet, although you WILL lose weight while doing it. If you’re interested in a juice cleanse, it should be because you’re looking to incorporate healthy eating habits into your lifestyle. The juice cleanse will provide your system with a nice ‘reboot,’ but once it’s over it will be your responsibility to continue on a healthy path.